Over the month of November I (Nicole) decided to make a point to recognize things that I am not only thankful for, but specifically things about being in Thailand. Over the past year there have definitely been days and moments that being so far away from family and friends hits and often hits hard. My heart aches to be near our families, I desperately want to play with my niece and nephews. I miss challenging and encouraging conversations with good friends. Missing home is ok, missing home is natural, and missing home is good. However, it can be so easy to not just miss home, but to also dwell on missing home and certain activities or times with family and friends. This can easily take away from the joy you can experience where you are now. I was able to recognize a few deeper and meaningful areas that I am thankful for, and also a few more superficial things such as, after a quick visit in Bangkok, I am thankful to live in Chiang Mai with nicer weather, less crowded, and less traffic. I am thankful for the trainings, resources, and opportunities we have been able to experience and learn from, for the wealth of knowledge and experience of others that we can tap into and learn from. Thankful for our team leader, P’Boom! I am thankful for the house church we are a part of with other young people living life here and striving to glorify God and the community that brings. I am thankful to experience a different culture, ceremonies, holidays, celebrations, and a way of life. I am thankful for variety and diversity in worship, hearing songs and prayers to God in a different language and style. I am thankful for recognizing areas of strength, weakness in my heart and the growth that has come through God working through challenges we face. I am thankful for life here, wandering through markets, riding on the motor bike at night with cool weather, family nights with the kids that live with us, and spontaneous movie and root beer float nights. I am thankful to see God at work. Even in what seems to be completely dark situations full of hardened hearts, God’s light is still breaking through. He is pursing these people with mighty strength, and I am grateful to even be a small part in it. I do miss my family and friends and I always will. I am so so thankful to have the support, encouragement, and prayers of such amazing people. We are extremely excited to be going home for a few weeks next month. It is our prayer that we can have sweet times with family and friends, be refreshed and encouraged and enjoy time with loved ones. 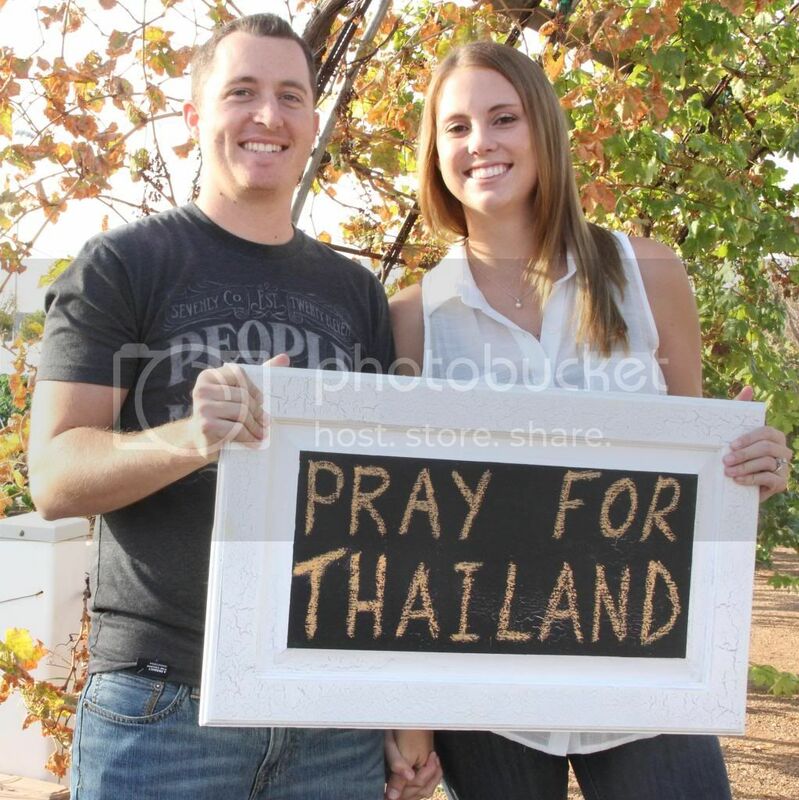 We also pray that we may even be anxiously anticipating coming back to Thailand. We know that we are not done here, God has placed these people in our hearts and we are thankful to be a part of His work in Thailand. If you want to hear about some stuff God is doing in Thailand, make sure you sign up for our updates. Nicole and Mike, we love you guys, and we are so thankful for you! So exciting to see God working through you and so cool to see all that you are thankful for in Thailand.